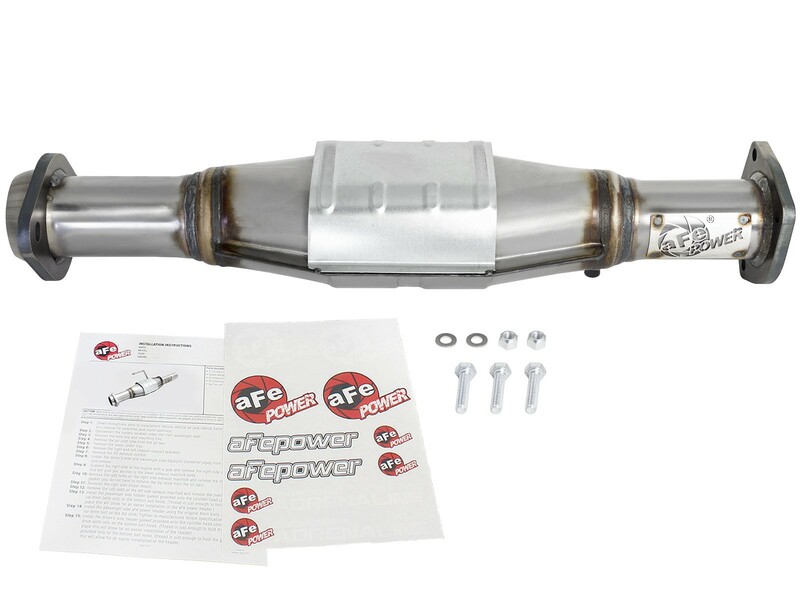 Replace the faulty rear catalytic converter with the all new aFe POWER direct-fit rear cat replacement for the Jeep Wrangler (TJ) with I6-4.0L engine. This cat replacement is constructed of 100% MIG welded stainless steel for strength and durability. This unit comes with a slip fit, clamp and 3/8" thick flange for a secure hassle-free installation. This system is constructed of durable mandrel-bent stainless steel tubing for maximum performance, corrosion resistance and strength, eliminating cracking. 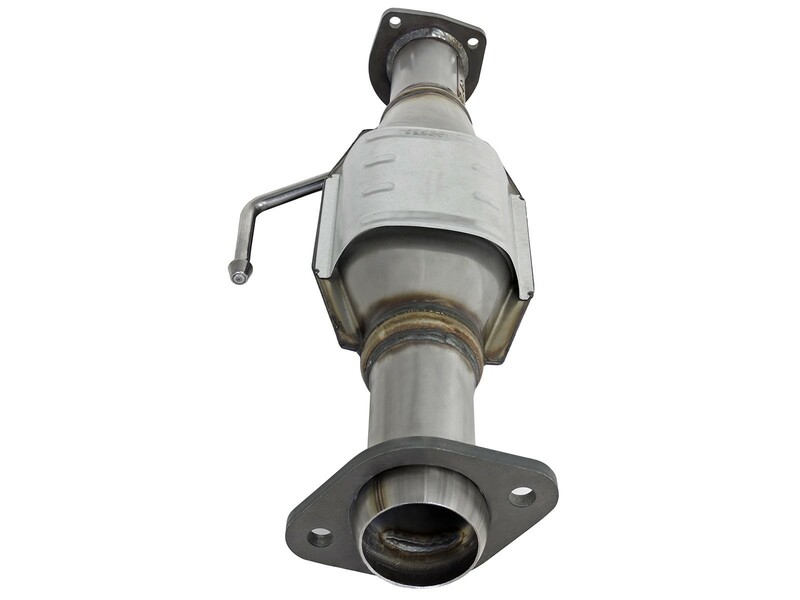 Utilizes factory mounting locations and utilizes an OE style flange making it a true bolt-on system. 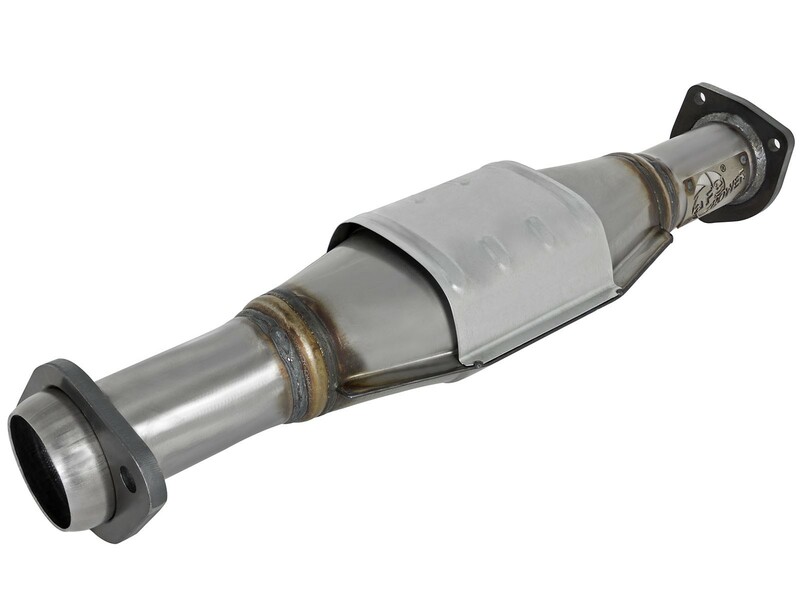 This kit comes with a EPA Compliant catalytic converter for a bolt-on and go installation.